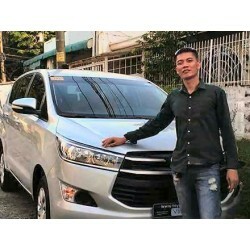 This transfer includes the port entrance fees for those heading to or from a cruise ship at Batangas.We also offer transfers to many other locations t..
We also offer transfers to many other locations to or from Manila NAIA airport -- please ensure to book for the city you are heading to (or from). Ple.. Please note that this transfer is for Calooncan City North and there is a separate transfer offer for Calooncan City Centre. Please see the map above ..
We also offer transfers to many other locations to or from Manila NAIA airport -- please ensure to book for the city you are heading to (or from).Vehi..
We also offer transfers to many other locations to or from Manila NAIA airport -- please ensure to book for the city you are heading to (or from). ..